I'll add people once it's worldwide release, just in case I have to start over. I didn't want to have to change my Nintendo Account region to Australia, but it looks like with the recent update (0.9.5), you can link other region accounts now. If linking works, I probably won't start over since I'm level 55 now. I wasn't expecting to get that far. A few weeks ago, I would've been fine with starting over, but now I don't want to lose my progress. Rumor is that it'll be launching on the 21st/22nd (depending on your time zone) because the latest login rewards stop at 7 instead of 10 and the last one is on the 20th for me. 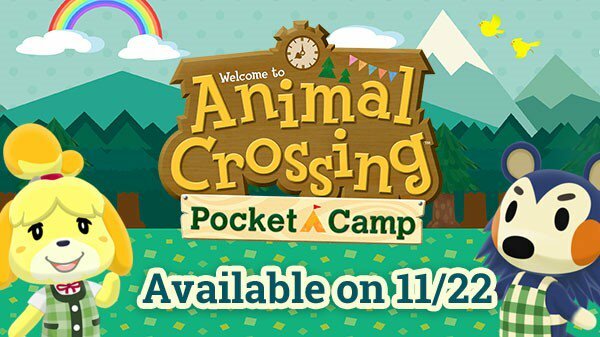 Also, the 21st coincides with the end date of their Animal Crossing Pocket Camp Friend Finder event on their website. So, hopefully everyone will be able to get it soon. As explained, the monetary transactions in the title are not intrusive, nor are they essential to progress. They simply offer the player a way of accelerating their progress in the game. The purchasable Leaf Tickets can still be obtained for free, provided you are willing to visit your campsite on a regular basis – the commitment required is rather fitting given the history of the series. It’s almost startling just how easily this IP has been adapted to the mobile platform. While it does experiment with the classic formula to go where no existing releases have gone before, Animal Crossing: Pocket Camp still manages to provide the same level of escapism that has been fundamental to the series over the years. For this reason alone, it’s worth checking out. I used the apk to play before launch, linked my Nintendo Account and transferred my progress to iPhone. Everything except the 2 leaf tickets that I claimed because they were expiring soon transferred over... I kept the rest of my leaf tickets from level ups in my mailbox and I can still collect them now that I'm on iPhone. EDIT: Everyone is getting server errors now. Maybe they should've let people trickle in slowly instead of opening the floodgates. Never played this, no idea what to expect. Will we be getting a subforum for this game or keeping it all in this thread? EDIT: My friend list is currently full. Running around the campsite now with no idea where to start. How adorable!!! I sent friend requests to the ID's I see posted here.